SEAN: June is bustin’ out all over! And while we don’t have that Rogers and Hammerstein manga just yet, we certainly have plenty of titles coming out next week. SEAN: J-Novel Club has the 4th volume of My Big Sister Lives in a Fantasy World, which promises to be more Haruhi-ish than ever before. Kodansha digital has more Del Rey rescue volumes, as we get Nodame Cantabile 21 and Princess Resurrection 15. They also have the 2nd digital volume of Drowning Love. MICHELLE: Yay for Nodame and Drowning Love. SEAN: I admit that I have for the most part dropped Fairy Tail. I am a shipper, though, and I do love me some Galevy. I will be picking up Fairy Tail: Rhodonite, then, a spinoff focused on Gajeel. Noragami has a new volume, with Vol. 18! Man, remember when these were monthly? ASH: I do! It’s great to catch up so quickly, but it does make the waits between volumes feel especially long. SEAN: And there is a 6th Sweetness and Lightning. MICHELLE: I could use a dose of wholesome food manga. ASH: I’m really loving this series. SEAN: On the Seven Seas front, we have the 2nd volume of Captive Hearts of Oz, which I found interesting enough to continue, and Alice in the Country of fans should love it. ASH: The first volume intrigued me as well. It had it’s rough spots, but overall I was entertained. SEAN: They’re also releasing a print version of the first Grimgar of Fantasy and Ash light novel, which J-Novel Club released back in December. The big release next week is My Lesbian Experience with Loneliness, which everyone needs to pick up immediately. I reviewed it here. ASH: One of my most anticipated releases of the year! I’m glad to finally get a chance to read it. MELINDA: This was somehow not on my radar at all, so thanks for fixing that! SEAN: And there is a 3rd Please Tell Me, Galko-chan!, which I find far more amusing and fun than I’d expected to. SEAN: Vertical Comics has a 7th Volume of Devil’s Line. And now it’s time for Viz. Assassination Classroom 16 promises a heaping help of backstory. Black Clover 7 promises more of what it is that Black Clover does best: reminding you of other shonen titles. 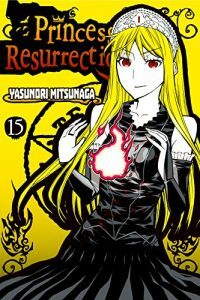 Even after 7 volumes, Bloody Mary still has vampires. The 5th Everyone’s Getting Married is also out. Can they keep things from getting too angsty? And things continue to go from bad to worse for the students in the 18th volume of Food Wars!. MICHELLE: Ordinarily, I look forward to Food Wars! passionately, but this current arc is rather distressing. ASH: I actually need to catch up to the current arc; I’ve fallen behind! SEAN: Haikyu!! 12 is probably happy it doesn’t have to worry about cooking and can just focus on volleyball. SEAN: And the second to last volume of Kamisama Kiss! I will miss it! ANNA: I’ve been stockpiling volumes because I don’t want it to be over. SEAN: Kuroko’s Basketball has a 6th 2-in-1 omnibus, and continues to star Kuroko, against all odds. SEAN: Viz’s big release is Manga in Theory and Practice. A few years ago Tokyopop released a volume by Hakusensha’s editors on how to do shoujo manga. 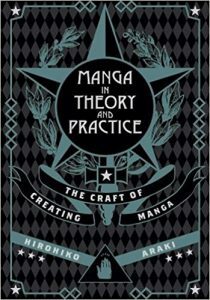 This might be the shonen equivalent, but its creator is none other than Hirohiko Araki, the creator of JoJo’s Bizarre Adventure! I cannot wait to read this. ANNA: That sounds like a hoot. ASH: I’m really looking forward to reading this. MELINDA: Oh, interesting. Count me in. SEAN: One Piece 3-in-1 20 should not be read without tissues handy, as it has the death that no one was expecting. Seraph of the End has reached a dozen volumes, meaning it can now be profitable in syndication. And So Cute It Hurts!! has unlucky Volume 13. Lastly, but not leastly (oh, the grammar pain), there is a 6th Yona of the Dawn. Why can’t this be monthly? 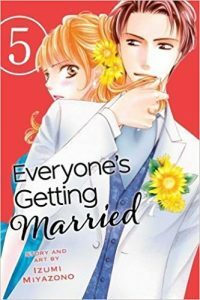 MICHELLE: Aside from Fruits Basket, has a shoujo series ever had a monthly print release? ASH: It seems like there must have been, but none immediately come to mind. SEAN: A highly interesting week. What are you getting? Solid lineup indeed! I’ve already got my So Cute it Hurts, Yona, Kamisama Kiss, Assassination Classroom, Seraph of the End, and Kuroko, but I also require Noragami. I am very much so late to the Noragami party, but it still seems to be in full swing and I am still partying hard! Incredibly there’s three Yuri titles coming out this month?! I could get used to this (but I’m afraid to). If against all odds I’m somehow able to budget it, I’ll definitely be picking up My Lesbian Experience with Alcoholism and Lacerations.